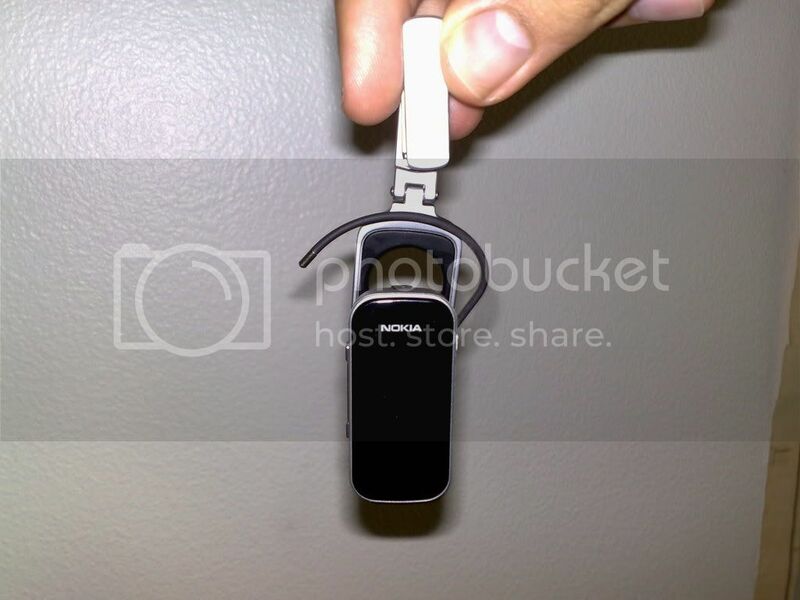 Phone-Rush: Review: Nokia BH-902; It doesn't look like a hearing aid, is it as good as one? 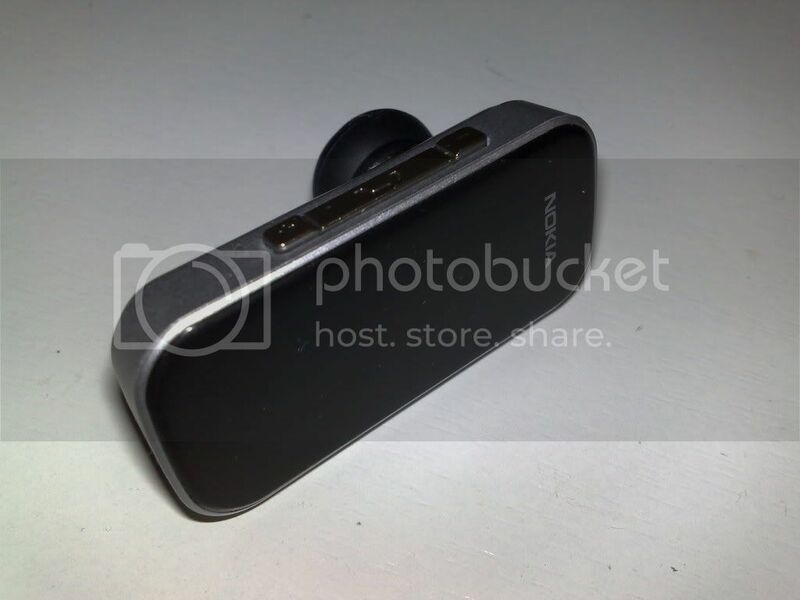 Review: Nokia BH-902; It doesn't look like a hearing aid, is it as good as one? It has been a while since I've personally updated the site. The workload of last semester, the holidays, the holidays I've had after new year's and other stuff has kept me from actually posting. It doesn't mean that I was living underneath the rock though. 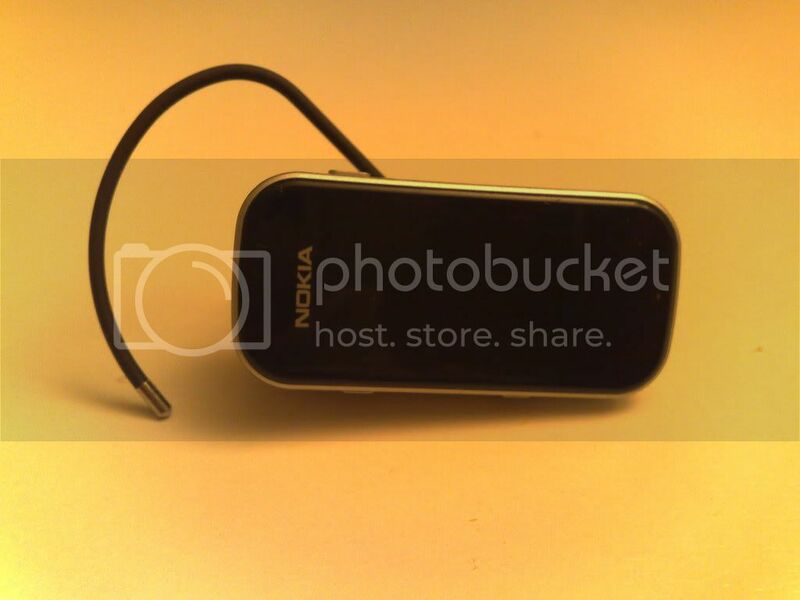 In the mean time I've added some toys to my collection, and I'm going to start off with talking about the Nokia BH-902. After looking for it for almost a month in December, I finally scored one a couple of weeks ago. Was it worth my effort? Stay tuned. There isn't much that comes in the package. The headset itself, the charger, manuals, and a dongle which you can attach the bluetooth headset, and allegedly you can wear this dongle around your neck holding the headset. I use the word allegedly because it seems it eluded the minds of the people deciding to put what in the packaging to throw in a dollar worth of string that can be worn around the neck. I mean seriously, it doesn't cost a buck. Without the string your only choice would be to attach the dongle to your clothing. There is no hiding that the primary focus of the BH-902 is marketing it towards the fashion conscience consumer, and I'll say with confidence that it does succeed in this area. The key to its success is its simplicity. From a distance it looks like a simple black rectangle with smooth edges, and a good looking OLED display giving it life. It's not too big or bulky, and it's not as small as a CTU ear piece that fits entirely in your ear canal. It's the right size. To even make it more stylish, the headset was designed so that it could be worn without the ear hook. 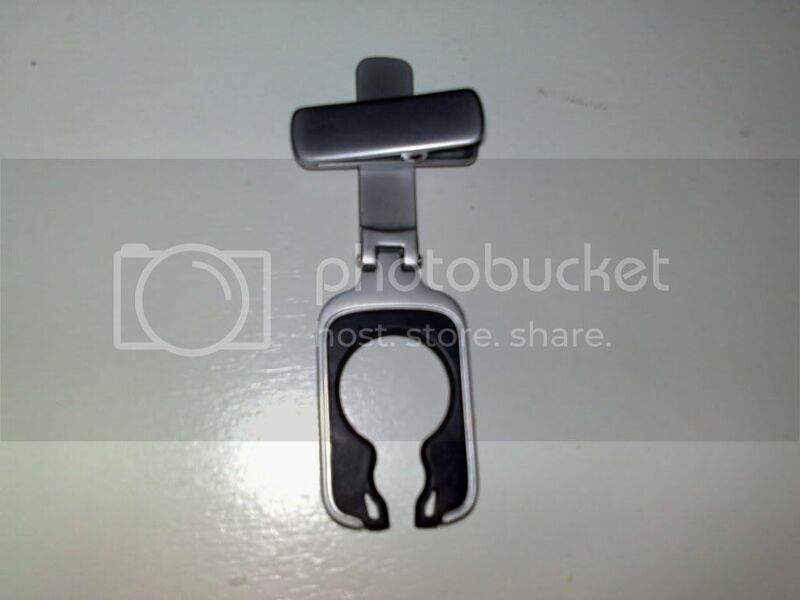 The hook is as slim as it gets, but it can be easily removed. 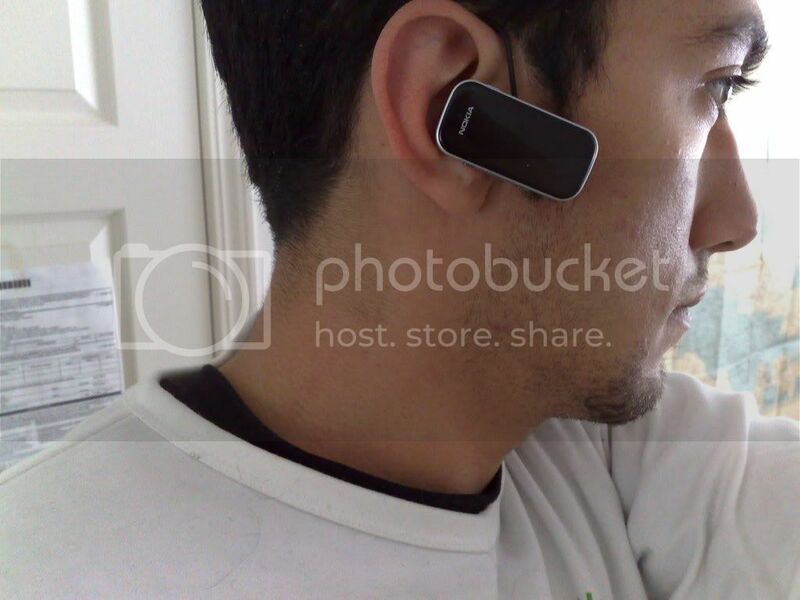 The headset is designed so that you can easily wear it on your left ear. All it takes are two simple twists of the ear hook and voila, it's good to go. However the downside of using the BH-902 on your left ear is that the OLED display becomes upside down while the headset rests on your left ear, not that it bothers me because I can't see my ear. The point is that at least they should've put the option for wearing it on the left ear in the menu which I will talk about more shortly, and once activated, make the display orient itself accordingly. I can't say enough how much I like the OLED display. The display normally shows the time, the status of the BT connection, and displays an icon if a call is being made over the headset. The display has good resolution, and is readable in sunlight when the brightness of the display is set to at least 60%. 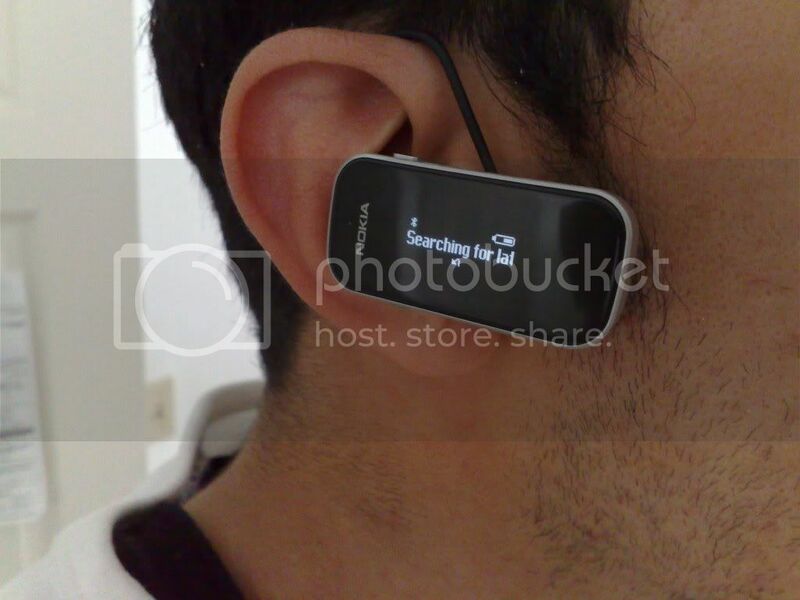 The BH-902 supports the following Bluetooth protocols: Headset Profile 1.1, Phonebook Access Profile (PBAP) which allows you to see the name of the contact calling you on the headset given that you have that contact already added to your phonebook, and Handsfree Profile 1.5; all of this under the Bluetooth 2.0 spec. As mentioned with the PBAP protocol, you can set the headset to display the caller ID, and if you have that contact in your phonebook, it will display the name instead. It's handy for us the people who get lazier everyday to just pull out the phone from our pocket to see who it is calling. Don't get me wrong though, it's a great feature. Another good feature for the lazy efficient people is the Recent calls list, provided that your phone supports the BT protocol, that allows you to see the latest list of people you have dialed, calls you have received, and calls you have missed. From there you choose the particular call, and with the press of the call key you can dial them. Very simple and fast. The display also indicates if you have a missed call. 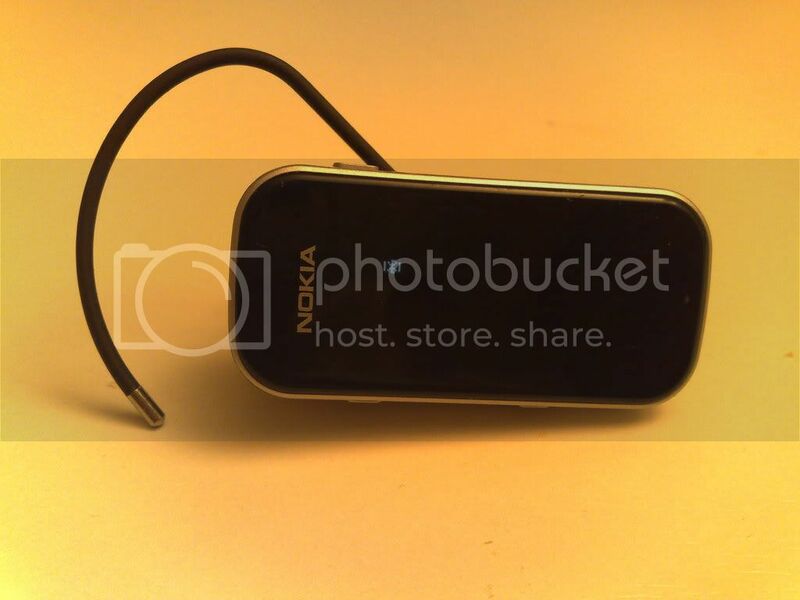 Nokia also made sure that they will cover the people who don't have the slightest English literacy of reading the menu options on the bluetooth headset, and that's why you can configure the BH-902 into 16 languages, that' right it's not a typo. Another feature is the list of devices that you've connected and paired the BH-902 with before. From there you can choose to switch your connection from one device to another. I don't recall many if not any bluetooth headset that would allow you to connect to a certain device from the headset itself. Here is a pet peeve of mine with Bluetooth headsets, and this might vary from person to person. I don't like it when BT headsets keep flashing a bright blue light when it's connected and I'm using it on my ear, especially at nights. I know I already look like a weirdo to some people by putting on a headset in the first place, but I don't need to be flashing people with a blue light to grab their attention. If you feel like me, you'll be glad to know that the bluetooth status indicator is small and discrete, so only a person looking up close will notice it. 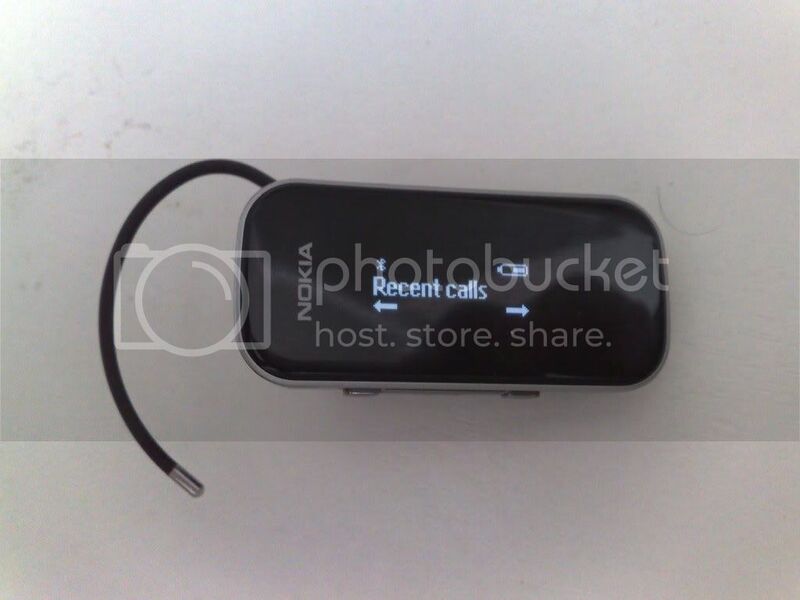 -UPDATE: When using this headset with a Samsung SYNC and Sony Ericsson Z520a, I noticed that the headset still retains the list of Recent Calls from my N95-3, and that once the BH-902 is paired to either of these former phones, you can redial them. Kinda creepy, so make sure you reset it if you pass it on to someone else. So we get to the part that really counts, and that the sound quality and volume level output of the headset. In regards to the sound level, although I definitely wouldn't say it's too low, I wouldn't say it's loud neither. The volume of the headset is directly related to the volume level of the handset you're using. 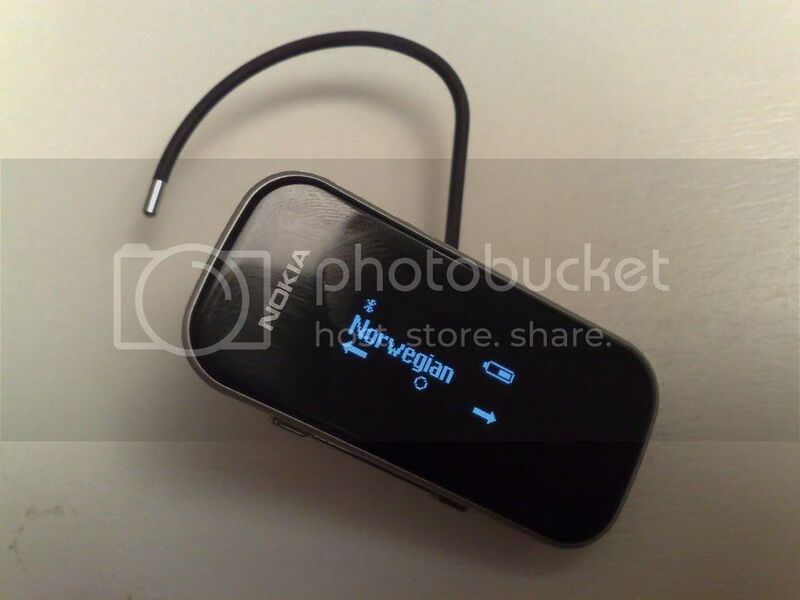 In my case I tried it with both the Nokia N95-3 and Nokia N82, and I had a slightly higher volume with the N95-3. For a clearer guideline, I'm a person who thinks that the volume level of the N95-3 is good, and the volume of the N82 is on the low side. What bothers me to some point is the quality of the voice I hear. If we consider that the unit I have is not a lemon, there are cracking noises, and it gets worse with every foot of distance between your phone and the headset. It doesn't always happen, but when it does it's hard to ignore. The sound of the people you hear is almost the same as hearing it through your handset. The people on the other side hear a relatively high level of noise in some cases. Another gripe that I have is the comfort. Although it's not heavy by any standard, but after 5 minutes of wearing the headset you start to feel its weight on your ear. I blame this primarily on the rubber coating around the ear pierce that goes in the canal, which does not conform to my canal. I met up with Devin as part of his Urbanista Trip, and tried his BH-803, which has the same size earpiece, but instead is coated with silicone, which made an excellent fit to my ear at least and made it feel more comfortable. The battery life of the headset is decent enough for me. On average it lasted between 2-3 days with average usage. It has a rated battery life of up to 8 hrs of talktime. What's the final verdict on this? If you can swap the rubber coat with a silicone coating, it will be a far better experience of using the headset for a longer amount of time. The volume is nothing to get stoked about. I really want to love this headset, as it is absolutely gorgeous, but since I need a headset with a louder volume, I'll have to be looking for alternatives soon. However if you can manage with these two issues, you're in for a big treat. sup amir! thanks for the review. I am contemplating the 902 versus the jawbone. You can review a jawbone, and cross post and link to each other if you don't come across a BH-902.